Let's talk about verbs for a bit. Verbs are one of my favorite vocabulary items to teach early communicators. One reason is that verbs can be fun-you can jump, crash, run, spin, burp, sigh, cry or even put things in weird places (like your head). 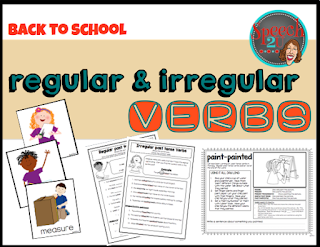 Come check out some of my tips for teaching verbs and pick up my freebie "Back to School Verbs!"